Here at Cottam HVAC, we make it a priority to ensure that our customers’ furnaces operate as safely as possible. That’s why when it comes to heat exchangers, we use the most advanced methods available to look for cracks that can threaten the safety of your home. Today we’re going to talk about how we go about detecting cracked heat exchangers in order to guarantee the safety of furnaces in City Island, NY area homes! By the time a heat exchanger crack becomes large enough that it is easily detectible by the human eye, it has likely been allowing carbon monoxide to leak out for quite some time. That’s because heat exchanger cracks typically start small and get worse and worse the longer that your furnace operates with them. In order to keep your furnace running as safely as possible, it’s best to detect heat exchanger cracks early before they contribute to long-term carbon monoxide exposure in your home’s air. Inspecting your furnace for heat exchanger cracks is one of the most important aspects of an annual tune-up from Cottam Heating & Air Conditioning. By scheduling your tune-up every fall before the heating season, you can ensure that your furnace is operating safely and that your home is protected from dangerous carbon monoxide leaks. • Groundwater and rain seeping into your home. • Leaky pipes inside the walls. • Pipes bursting from freezing and thawing. After a winter storm, get outside as soon as you can. Walk around the house, checking for damage from wind and broken tree limbs. Use binoculars if you can’t see your entire roof. Scan for loose or missing shingles. If practical, insulate any pipes exposed to the cold. Ask hardware-store personnel for the best materials for the job. Seal any leaks that are letting cold air in, especially around dryer vents and pipes and where electrical wiring enters the house. Search for uninsulated water supply lines in the attic, garage, basement and crawl spaces and in bathroom and kitchen cabinets adjacent to outside walls. During a cold spell, open cupboard doors in the kitchen and bathroom so the home’s heat can reach them. (Reminder: Put harmful household cleaners out of the reach of children.) Keep doors shut tight in the garage and outside closets and cupboards during freezing weather. When temperatures drop below zero, open both hot and cold faucets a trickle to relieve pressure in the pipes. Locate your home’s water shut-off valve; learn how to turn off the water quickly in case a pipe bursts. If you’ll be gone in freezing weather, even overnight, ask a friend or neighbor to check on your house for broken or leaking pipes. Show him or her how to shut off the water. Keep temperatures inside the house at 55 degrees Fahrenheit or above, night and day, even when you’re gone. Promise yourself that when the weather improves you will add to the installation in the basement or crawl space and attic. Install small, battery-powered individual leak alarms, also called flood alarms, under the refrigerator, kitchen and bathroom drain pipes, dishwasher and laundry appliances and behind toilets. Cost: around $10-$15 each. Check to make sure your sump pump is operating properly. If it has a battery backup, unplug the pump from the wall and test it. Cold weather drives mice and insects into the walls of your home. Even unheated parts of the house invite these pests. Insects need only a crack to enter, and mice can get in through a dime-sized hole. Houseflies, particularly, pose a health risk because they can transmit disease. Seal any cracks where pests enter. Empty compost and garbage frequently. Keep food covered and put away; keep counters clean. Pour boiling water down bathroom and kitchen drains monthly, preventing the buildup of bacteria-laden sludge; scrub removable drain covers weekly. Check basement, attic, crawl spaces and the back of cupboards and cabinets for mice droppings or holes. If you find evidence, install traps immediately or call a pest-control service. Pick up and dispose of outdoor pet waste promptly; turn compost piles frequently. Check the labels on the switches in your electrical circuit-breaker panel and make new labels if necessary. Check your furnace filter monthly in the winter to see if it needs replacing. Use a vacuum-cleaner tool or a long-handled brush to clean under and behind the refrigerator, including the coils. Clean lint from under laundry appliances, especially the dryer, carefully work the cleaning tool down into the lint filter; outdoors, clean the dryer vent outlet, reaching as far as possible into the pipe. Gather product documents and warranties into a folder. Go through the contents and discard outdated materials. Walk around inside the house with a screwdriver, pencil and paper. Tighten any loose knobs and attachments and list repairs to tackle later. Examine the ducts of your forced-air furnace and seal any leaks with duct tape. Your buying decision should take into consideration your ability to control the furnace output, as well as the cost of operation. Variable-speed controls will allow you to save money while keeping your home comfortable. Many furnaces without variable-speed controls use five or six times as much energy as those with it. Another benefit of this technology is that it can help to control humidity levels in the home. As stated above, one furnace can use more energy than another. The main thing to look for is one with a high AFUE (Annual Fuel Utilization Efficiency) number. This number actually denotes how effectively the furnace converts the fuel into energy. The higher the number the more fuel efficient it is. In the long run, this means less money spent on fuel to keep your home at a comfortable level. You also want to look for those with the Energy Star label, as these will meet the standards of the EPA (Environmental Protection Agency). This is a big one… though not for technology, it is for comfort! Nobody wants to wake up every time their furnace kicks on, so you will want to pay close attention to the noise level of a furnace before you make your decision. Those that have variable speed controls should be the quietest units, but you will also want to look for one with enclosed burners and one that has a sufficient amount of insulation in its blower region. The warranty on the furnace is also an important factor you must consider. A year warranty is not enough for such a large expense. Instead, you need to look for one that has at least a ten year warranty on various parts of your unit. 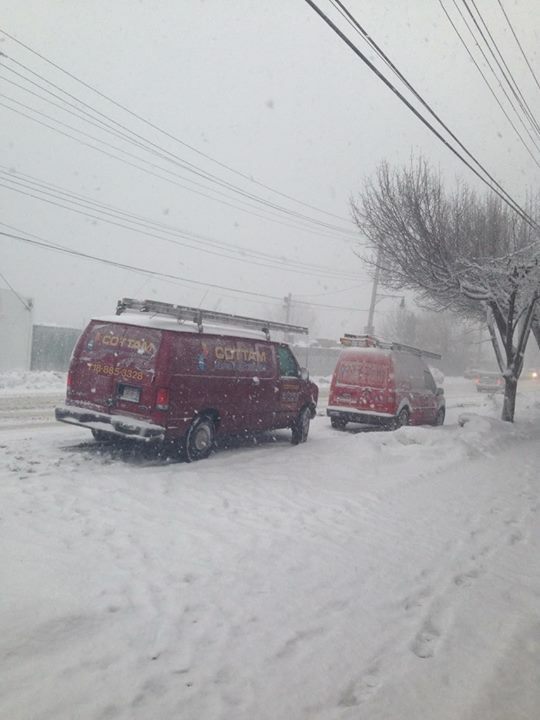 When you’re in the market for a new furnace, Cottam Heating & Air Conditioning has become the top provider of furnaces in New York, City Island and Westchester. We Will help you to make the best decision in choosing a unit for your home and will take all your needs into consideration, including those not listed above.